Getting planning permission or a lawful development certificate can take between 8-10 weeks, so it’s good to apply early. However, once you know that your project is officially in the clear, there’s still one final stage before work can begin: the building regulation process. 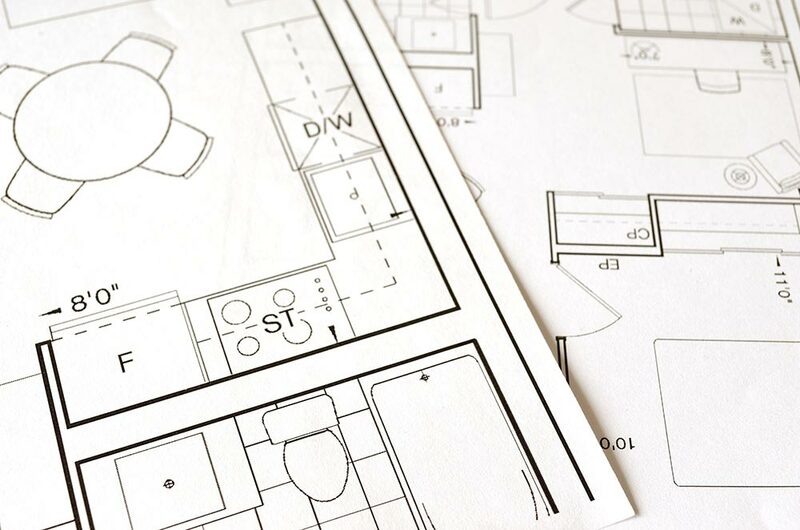 During this phase, your architect will draw detailed designs along with construction notes ensuring the designs follow building regulations. You’ll also need to hire a structural engineer, a CCTV surveyor and an approved inspector. It’s not very glamorous, but a CCTV survey lets you know what’s going on in your drains. A surveyor will place a camera inside your drainage system and then write a detailed report that covers the location, condition and invert levels of your existing drainage, and should include information on whether it is public or private. If your drains are public and you want to build on or near them, you’ll need to submit an application to your local council. Yes! Structural engineers play a vital role in ensuring the foundations are correct for the construction process. They will provide you with structural calculations and drawings to comply with building regulations, which will then be used by your building contractor and architect. When do I need a party wall surveyor? The shared wall between any terraced or semi-detached house is know as a party wall. Before any work can be done on it, you’ll need to serve a party wall notice to your neighbours in writing. You’re required to give two months notice on building work that affects a party wall, and your neighbour then has fourteen days to respond. If your neighbour agrees, straightforward cases may not require a party wall surveyor. However, you should always take dated pictures of the proposed works and keep written records of any issues. If you do need a surveyor, you and your neighbours can either appoint an independent surveyor each, or agree to share one between you. Where can I get building regulation drawings drawn up? Your architect should be able to incorporate these elements into your plans for a small extra fee. Who oversees my building project? You’ll need to ask an improved inspector to provide an approved inspector to oversee how closely your contractors stick to regulations during your building project. They’ll issue you with a certificate at the end of the project, which you need to hold onto for when you come to sell. How many builders should I ask to tender for my project? We recommend that you invite at least four contractors to pitch for your project. Take the time to research each team thoroughly, request references and check their financial position (you don’t want anyone going broke and packing up before they’re done). Before starting any work you should insist that a JCT contract is drawn up by a professional.